There is a lot of interest from rosacea sufferers to cure their rosacea with natural or herbal therapies and home remedies. Many are keen to avoid treatments like antibiotics and metrogel. This paper is by far the best collection of information about natural rosacea treatments or products I’ve found. Read on to discover just what is the best natural rosacea treatment. Treatment of rosacea with herbal ingredients. Wu J., Journal of Drugs in Dermatology, 2006 Jan;5(1):29-32. Since rosacea is a chronic disease and many patients find prescription therapies unsatisfactory, they frequently turn to herbal ingredients for relief of their persistent facial redness. The most useful and frequently used herbal compounds include licorice, feverfew, green tea, oatmeal, lavender, chamomile, tea tree oil, and camphor oil. The utility of most of these herbs is based on their purported anti-inflammatory properties. Some of these herbs have proven effects, many have potential benefits, and some may aggravate rosacea. Due to the fact that many patients fail to inform their physicians about their use of herbal ingredients, dermatologists should be aware of what patients may be using and be able to advise them about the efficacy of these ingredients or the potential for adverse effects. Many patients use topical over-the-counter (OTC) agents to treat the symptoms of rosacea, either as an alternative to traditional prescriptions or to complement their prescription regimen. Increasingly, many of these OTC preparations contain herbs. Current estimates report that consumers in the US spend more than 21 billion dollars on alternative medicine and the use of herbal remedies saw an unprecedented 380% increase between 1990 and 1997. Glycyrrhizinic acid has also been shown to improve dermatitis. In a study by Saeedi and associates, 2% glycyrrhizinic acid gel was reported to significantly decrease scores for erythema, edema, and itching over the 2-week treatment period. A recent study by Dieck and associates found that licochalcone A exhibited a potent anti-inflammatory action on a broad range of skin cells involved in skin inflammation. One of the primary active components of feverfew, parthenolide, inhibits serotonin release from platelets. Feverfew inhibits 5-lipoxygenase and cyclooxygenase, resulting in a reduction in human blood platelet aggregation. In a recent study by Martin and associates, 45 days of treatment with 1% feverfew PFE (parthenolide-free extract) – Aveeno Daily Moisturizer Ultracalming, improved mild inflammatory acne by inhibiting the release of inflammatory markers from activated lymphocytes and reducing neutrophil chemotaxis. It is these immunomodulating properties that suggest feverfew PFE[TM] may be a useful treatment for rosacea. The green tea derivatives epicatechin, epigallocatechin, epicatechin-3-gallate, and epigallocatechin-3-gallate possess well-documented anticarcinogenic properties and anti-inflammatory and antioxidant capabilities. (15) These properties are especially useful for patients with rosacea as inherent sun sensitivity is a hallmark of the disease. The photoprotective properties of green tea may lessen reactivity to ultraviolet light, thereby reducing the signs and symptoms of rosacea. Moreover, green tea extract has been shown to reduce the disruption of the skin barrier often seen in patients with the disease. First, oatmeal is a potent antipruritic. The moisturizing properties of colloidal oatmeal alleviate itch due to dry skin. These properties, in turn, promote protection of barrier function, which is often impaired in rosacea patients. Oatmeal also works as a skin protectant and enhancer of barrier function as the proteins and polysaccharides bind to skin to provide a protective barrier, while proteins buffer both acids and bases. See also Colloidal Oatmeal: a Dream Ingredient for Rosacea Sufferers for more information on why Oatmeal may be one of the under rated natural ingredients. studies in animal models confirm the traditional use of Lavandula angustifolia for the treatment of painful and inflammatory conditions (including gastrointestinal disorders, migraines, and generalized pain). The active constituents of chamomile include the terpenoids (bisoprolol, matricin, chamazulene) and flavonoids (apigenin, luteolin). Studies have documented the anti-inflammatory and soothing effects of creams containing chamomile in patients with various inflammatory dermatoses. Chamomile is used in a variety of cosmetic products and as soothing compresses. In recent years it has become increasingly popular as an antimicrobial agent and has also been demonstrated to possess anti-inflammatory properties. Tea tree oil should be used with caution, however, as it has been associated with a wide variety of side effects including allergic contact dermatitis, systemic contact dermatitis, erythema, and systemic hypersensitivity reactions as well as conditions such as linear immunoglobulin A disease. Recently, camphor oil has been evaluated for its efficacy in treating the demodicoses that are frequently comorbid with rosacea. In a study by Morsy, marked reduction in the infestation density were noted following application of diluted camphor oil at concentrations of 20% to 25%. Caution is warranted with the use of camphor oil, however, as it is a known skin irritant. The therapeutic value of medicinal herbs has gained increased acceptance by the medical profession. However, there are a number of variables which can influence the composition, concentration, and bioavailability of the herbal compound. Moreover, few of these ingredients have been evaluated in clinical trials. Despite these issues, many patients may benefit from the use of herbal remedies and a growing number of patients are using “natural” ingredients to treat their rosacea. Some have proven effects, many have potential benefits, and some may, in fact, aggravate rosacea. Of particular concern is the finding that patients using alternative therapies are unlikely to tell their doctor. Dermatologists should be aware of what patients are using and be able to advise them, beyond what is prescribed or the procedures performed. Disclosure: Dr. Wu is a consultant for Johnson and Johnson Consumer Products and is Founder and President of Dr. Jessica Wu Cosmeceuticals. Also see this interesting PDF for more information about natural ingredients that have been added to skincare products. Patients with rosacea have compromised skin barrier function and are more prone to dryness, irritation, and skin sensitivity. With an understanding of the pathogenesis and inherent skin problems that rosacea patients experience, it is essential for dermatologists to provide specific recommendations for skin care. Cleansers and moisturizers must be selected to improve skin barrier function and reduce inflammation. Cosmeceuticals with anti-inflammatory actives may be helpful in mitigating the signs and symptoms of rosacea. This article will review topical skin care products that may improve treatment outcomes in rosacea patients. 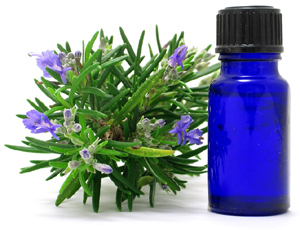 lavender, arnica, aloe vera, tea tree oil, and calendula ; do they work ? Natural products are best. I tried the Morning Song Gardens Bee Balm Face Cream with organic: beeswax, calendula, rosehip, seabuckthorn, and borage. Monday is a all day housecleaning. Afterwards, I am beet red, swollen, irritated. I used the Selsym blue moisturizing shampoo with aloe to wash. Spritzed with a diy green tea spray, followed by Morning Song Gardens Calendula cream. One hour later, my skin is soft, smooth, to say, not screaming red. « Blepharitis Linked to Helicobacter Pylori ?